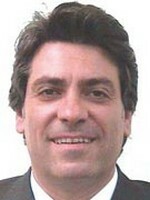 Giuseppe Oliviero has a degree in architecture and is a technical consultant for the City Court of Naples. He began his career as an entrepreneur in 1997 in wood craft design, conveying his interests on green architecture and sustainable techniques. Mr Oliviero is currently involved in research and innovation prototyping of sustainable construction system and passive houses. 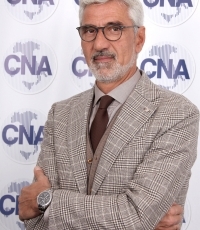 Since 2007, he holds the position of Chairman of CNA Naples and he was elected Vice President by the national CNA Presidency Board in 2013 and Vice President in UEAPME Board. Claudio Cappellini, responsible of EU Affairs for C.N.A., National Confederation of Italian Craft and Small and Medium Sized Enterprises. Member of the European Movement Council (CIME) Italy, Trainer and Scientific expert for Academic Research Networks. Former Board Member of “Italian Small Business in Europe” (ISB) Bruxelles. SME Policy Expert and Former Member of the European Economic and Social Committee (EESC), former Secretary General of EUROPMI, European Committee of Small and Medium Enterprises, Brussels.